The traditional season opening ‘SUMMER OPEN’ took place once again at Tynemouth Squash club over the August bank holiday weekend. The fun event organised by Steve Cubbins had around 40 entrants and was as always played in a fun and friendly environment. The ‘A’ event was won by county champion Dave Barnett beating Liam Gutcher in the final. 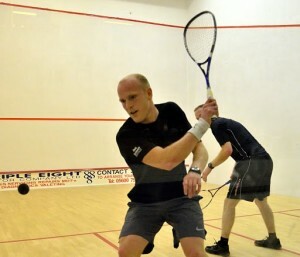 Michael McKay beat Glenn Ward to take the ‘B’ event taking it 3-2. The ‘C’ event was won by Adam Bainbridge by default as Alex Robertson couldn’t play the final after brutal matches earlier on in the event, and Steve Cubbins took the ‘D’ event. Next year it will be the 30th anniversary and hopes to be a big event to celebrate reaching that milestone.